Dreamtime - Commentary Inspired By Bob Dylan's Theme Time Radio Hour: Theme Time Radio Hour F.A.Q. This F.A.Q. 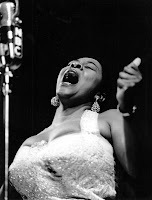 covers the common Theme Time Radio Hour questions I've received while writing Dreamtime. Updated February 2015 to announce the appearance of TTRH's 101st episode, "Kiss," broadcast on February 11, 2015. A: "Top Cat (Underscore)," which can be found on the CD compilations, Tunes from the Toons: The Best of Hanna-Barbera and Hanna-Barbera's Pic-a-Nic Basket of Cartoon Classics . Both compilations are currently out-of-print, but can be purchased from third-party sellers on both Amazon and eBay. A: The Wikipedia article on TTRH , "notdarkyet.org ," or the Theme Time Radio Hour Discussion Forum at Expecting Rain. Music for the various episodes were probably supplied by all the members of the TTRH team, most notably by Eddie Gorodetsky. A 2010 Wall Street Journal interview with him noted that "... much of the material for the 100 [TTRH] episodes was culled from Mr. Gorodetsky's own record collection" and it's indicative that during the interview and in the Eddie G's Holiday List sidebar, Gorodetsky names a half-dozen favorites that were aired on various episodes of TTRH. In an interview conducted in April 2009, in fact just a week before the broadcast of TTRH's final episode, Bob Dylan stated that he "had stopped doing those shows a while ago." Other evidence also suggests that Dylan's direct involvement with TTRH had ended sometime in 2008. 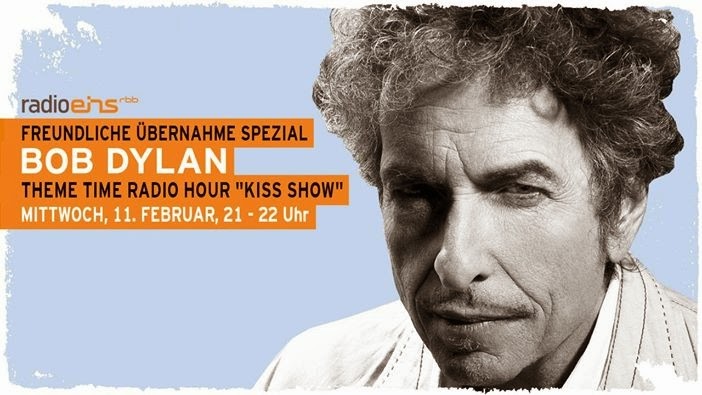 Perhaps the strongest evidence of Dylan's commitment to Theme Time Radio Hour is the fact that he recorded the narrative for 101 episodes of the show from 2006 through 2008 during a period when he was touring, recording, and involved in numerous other projects. The Flowers episode from Season 1 had the most poetry readings with Dylan quoting four separate poems from authors ranging from Christopher Marlowe to Anon. Q: Was it possible to contact Bob Dylan about TTRH and would you get a response? Q: How can I listen to TTRH on the air? A: SiriusXM discontinued rebroadcasts of TTRH episodes in 2013, and the show is currently not available through official channels. 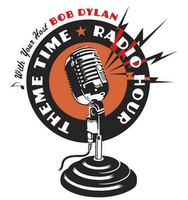 "Dylan Radio," a fan site, (http://www.dylanradio.com ) streams Dylan music and Dylan-related content including Theme Time Radio Hour episodes and the Dreamtime podcast. Check the site for times. A: No. To date no complete TTRH show has been offered as a standalone commercial offering. However, there are a dozen compilations featuring music from the show as well as two promotional CDs of complete TTRH shows. For an up-to-date listing, see The Compleat Theme Time Radio Hour Shopping List. A 2010 article from "Crain's New York Business" noted that a literary agent was reportedly shopping a "proposed series of books" authored by Dylan, including "a collection of riffs from his Theme Time Radio Hour show on Sirius Satellite Radio." That collection may be a version of the Compendium, which was advertised using similar language. However a "source close to Dylan," later told the LA Times in 2011 that no deal for any proposed book projects had been closed. A: Currently the best TTRH archive site is the "Theme Time Radio Hour Archive," an unofficial project by one of the show's fans. Various other TTRH show archives have appeared (and regularly disappear) on the Web. A little judicious searching through Google or Dylan fan sites should identify what's available. It's unlikely that a complete set of TTRH - 100* shows at the close of Season 3 - will ever be released commercially. The non-commercial efforts to distribute TTRH is likely to be the only complete record that will ever be accessible to researchers, scholars, and fans. A: Although incomplete, The Annotated Theme Time Radio Hour is an excellent reference site on TTRH. Lee Abrams's original XM Radio blog is still on-line and includes a lengthy three-part post on the background and creation of TTRH. Vanity Fair published an article on TTRH trivia both in a print version and on line in April 2008. It should be noted much of that article's content appears to have been taken from The Annotated Theme Time Radio Hour site without credit. Although TTRH has ended, any new news about the show will continue to be found at Expecting Rain, the Dreamtime blog, and DylanTweets a news feed on Twitter run by Dreamtime. Bob Dylan's official web site has also carried news about TTRH. Expecting Rain offers a TTRH forum, which was renamed to "Picasso's Theme Time Radio Hour " in memory of one of the show's most ardent fans. The archives of RightWing Bob and the Theme Time Radio Hour page on MySpace are also of interest. Q: Will there be any more episodes of Theme Time Radio Hour? 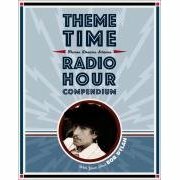 A: It appeared that Theme Time Radio Hour had ended in 2009 with its 100th episode. However, in early 2015 Berlin radio station RadioEins made a surprise announcement that it would air a heretofore unknown episode of TTRH as a special episode of the station's "Friendly Takeover" show. Entitled "Kiss," the hour-long 101st TTRH episode was broadcast on February 11, 2015, with copies of the show appearing almost immediately at various locations around the Web. The show was rebroadcast on SiriusXM on Valentine's Day, February 14, 2015. Internal evidence suggests that the show was created for Season 3 of TTRH and probably recorded in 2008. It's unknown why the show was not broadcast until 2015. It's also unknown whether there are any more unaired TTRH episodes in the vaults of the Abernathy Building... but one can hope. As someone who remembers Gorodetsky very well from his work at WBCN in Boston 27 years ago, where he was a comic voice for morning DJ Charles Laquidara, I can say that without question that he is Pierre Mancini. 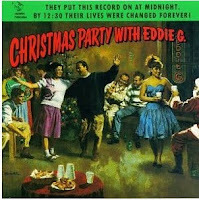 Twenty years ago, he was mentioned quite frequently, called Eddie G., by Jim "The Hound" Marshall on his great WFMU Saturday afternoon show of trash rock, blues & R&B. A lot of Hound shows can have been archived at thehound.net. Marshall often credited Gorodetski with providing him with obscure records, and it is likely that a number if TTRH recordings are from his collection. Was Tex Carbone the engineer of that radio show in Boston 27 years ago?